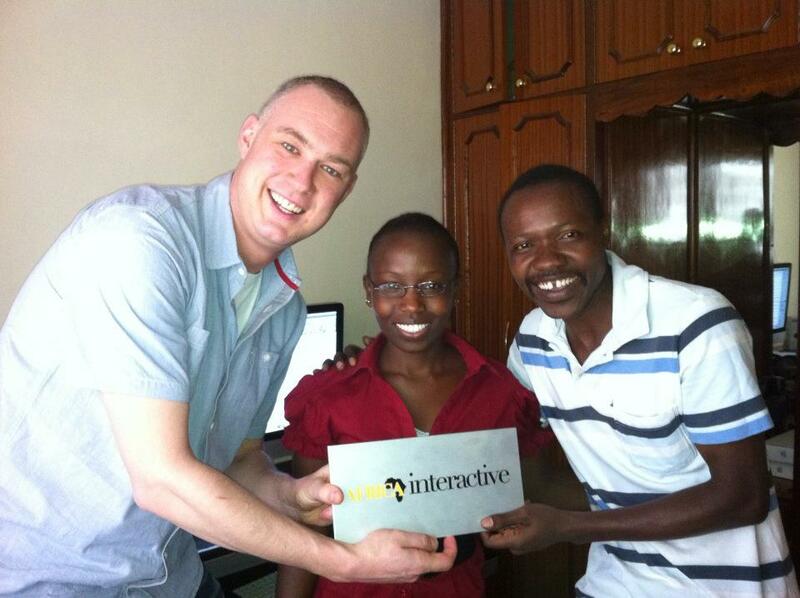 Our subsidiary company, Africa Interactive Kenya, has recently opened its doors in Nairobi. The Kenyan team will work closely together with their colleagues in Amsterdam and Accra to produce great media-productions from Africa and the rest of the world. The main objectives of our Kenyan office are twofold; up-scaling of the capacity in Africa and to provide services to African clients and organizations with offices in East Africa. It’s our philosophy to work with African media-professionals and that is why we are building a team of experienced video-editors. Currently we are looking for a video-editor in Nairobi. Today the team consists of Kennedy Odhiambo, coordinator and cameraman, Lily Sinei, video-editor and Bertil van Vugt, managing director. Bertil left the Amsterdam team for Nairobi to spend at least one year to expand the Africa Interactive Kenya office. If you are in Nairobi, make sure you visit us! This entry was posted in Africa Interactive Kenya and tagged africa, africa interactivem kenya, african reporters, nairobi, new office, production, video. Bookmark the permalink. We are also working in Asia and Latin America!